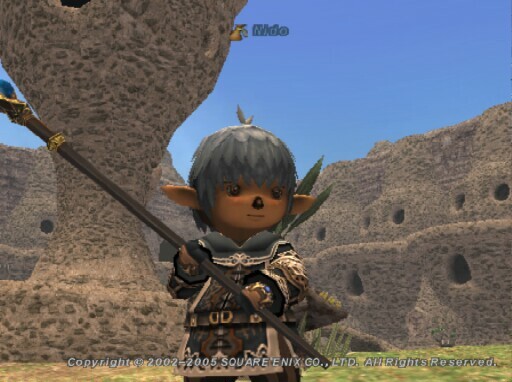 Almost two hours after his first steps into the world of Vana'diel in the city known of the Federation of Windurst, Nido was soon adopted as a son to Samanosuke and Reiswind and became a part of their large and comically dysfunctional family. Nido was infamously known as "The Feral Tarutaru of Windurst", a title bestowed upon him as a casual joke by one of his friends, the Tarutaru proudly took it to heart and upheld it the best he could, much to the amused chagrin of his family. 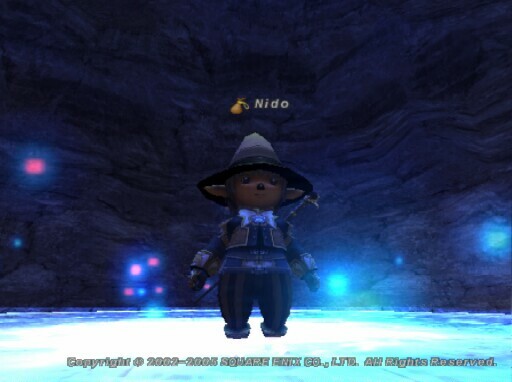 Nido made it a life goal of his to be the bane of every Yagudo's existence after a tragic accident in the early days of adventuring involving a Yagudo ambush. If he wasn't terrorizing the Yagudo, he was performing horrifying acts of violence on any creature deemed aggressive outside the safety of the major cities, exploring lesser-traveled corners of the world on foot or on the back of Chocobo, spending time talking for hours with his close friends in groups connected by linkshells, or training himself in mind and spirit to become the most powerful Black Mage the land of Vana'diel had ever seen. 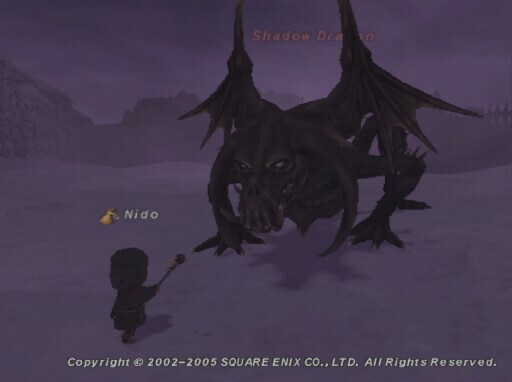 Despite his violent, merciless, and bloodthirsty nature when it came to fighting monsters and foes, Nido was actually a very sweet young man. Ready to help his higher-powererd comrades when they needed it, but all too often his help would go denied, due to his inexperience and low power.